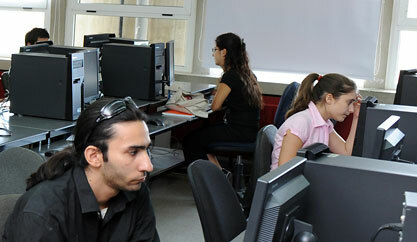 Computing facilities abound on campus. 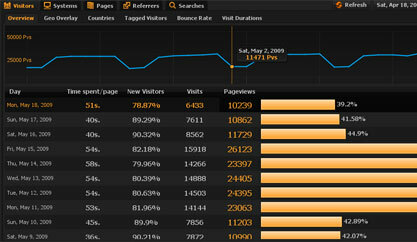 A screenshot of Woopra, website analytics software co-created by alumnus Jad Younan. 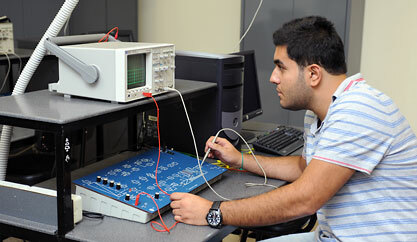 Concentrating on oscilloscope readings at the Communication Systems Lab. Real-life network equipment exposes students to the best platforms used by enterprises today.